Ed. 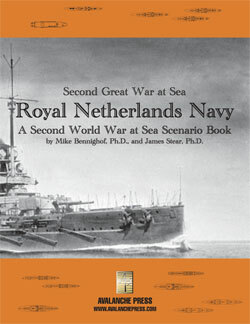 Note: Dr. Velicogna will be pleased to know that Settsu appears, in modernized form, in Second Great War at Sea: Royal Netherlands Navy. In 1910 a powerful ship, HIJMS Kawachi, was launched at the Yokosuka navy yard. It was the largest ship built in Japan up to that time, one of the first major warships to use a large majority of indigenous components, and she was also the first Dreadnought-type battleship built in Japan. She and her sister HIJMS Settsu represented the first ships in a long line that would culminate with Yamato and Musashi. Yet these two ships had a relatively short operational career, are relatively ignored by historians, and, even worse, appear only in one game in the prolific Avalanche Press line up, the out-of-print Cruiser Warfare. Because I love naval games, I love battleships, and I love Japan and Japanese ships, I decided that these two fine ships deserved some fame at last. The purpose of this piece is thus to shed a bit of light on their history and, at the same time, on naval development in the transitional naval era before the outbreak of the Great War. In writing about Kawachi and Settsu, it is impossible to not talk also about their purported “ancestor,” the original Dreadnought. In 1906 a new battleship was commissioned in the Royal Navy, HMS Dreadnought. She was the brainchild of the then First Sea Lord, Admiral of the Fleet John Arbuthnot “Jackie” Fisher, First Baron Fisher, GCB OM GCVO. According to traditional history her entry into service made all existing warships obsolete and launched naval warfare into a new era, the era of the Dreadnought. HMS Dreadnought: As revolutionary as claimed? The main authority behind this assertion is none other than Arthur J. Marder, one of the most famous naval historians of the Twentieth Century. His argument, never seriously challenged, was that Dreadnought, with her armament of ten 12-inch main guns in five twin turrets and no intermediary battery and her speed of 21 knots, marked a complete revolution in naval warfare. Marder’s arguments appear to make sense based on several counts. There is no contention that her speed was a considerable for the time. Being faster than other battleships allowed her to dictate the range of engagements and, if necessary, withdraw from superior opponents. Her single-caliber main gun battery allowed a better fire control at long range. According to Marder the “Achilles’ Heel” of previous battleships was that their different main guns fired at different intervals and with different ballistic trajectory making the job of the poor chaps assigned to directing fire almost impossible. At the time, without computers or radars, fire control was more an art than a science. You usually fired against your target and made the corrections to your next salvo based on where the splashes of your first one fell. To make the job of the aforementioned poor chaps easier, shells had distinctive colored chemicals inside their explosive compounds. Each navy, and in some navies each ship, had its own color. Thus you were able to recognize your own splashes from those of the enemy. Of course if more than one ship was firing at the same target it was a mess (and this is the reason why naval wargames penalize overconcentration). It was also a mess if your guns were different, because every gun needed a different elevation to correct the same distance based on its caliber, barrel length, and speed of shells. Thus a battleship sporting a set of main guns of the same caliber would have an advantage in her gunnery. If these guns were also longer-ranged it would have been even better. Marder’s closing argument is even more compelling. 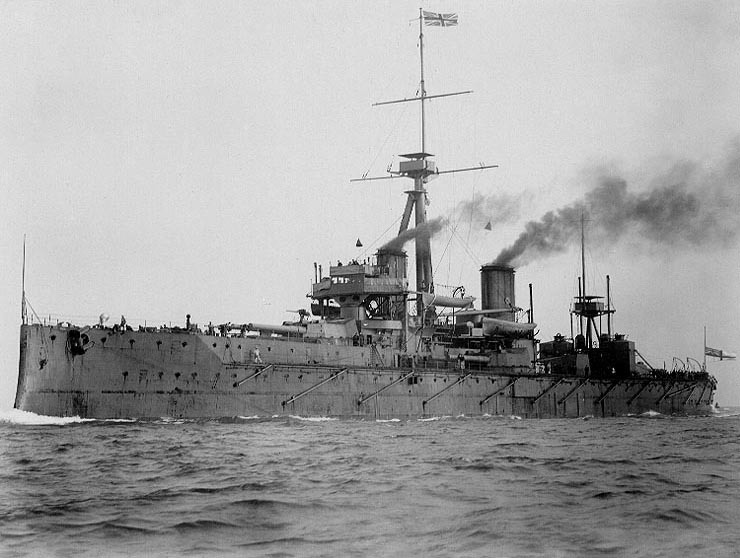 Every nation followed the Royal Navy and built copies of HMS Dreadnought. Well, Marder’s arguments could appear strong and unassailable and have been repeated relatively verbatim for decades, but this does not stop people like me from investigating the matter. Looking deeper, you find several cracks in Marder’s apparently ironclad arguments. Not every navy immediately copied HMS Dreadnought, not even the Royal Navy. Several ships that incorporated only some of features of Dreadnought appeared at the time, leading to the David Evans’ contention that historians probably have been keener on the Dreadnought revolution than the Admirals of the time. Other arguments are more technical and have been explained by Charles Fairbanks in the last years of the Twentieth Century in an article titled “The Origins of the Dreadnought Revolution: A Historiographical Essay” published in the International Historical Review 13 in May 1991. It’s a very interesting article for naval enthusiasts; even if you disagree with Fairbanks’s conclusions it is worth a read. For wargamers it includes a lot of interesting information on gunnery. Fairbanks main counterargument against Marder is deeply rooted in gunnery. Namely he argues that the switch to single-caliber main armament in Dreadnought did not increase her ability to fire at long range and that it was not based on real data. In the long-range argument proposed by Marder there are two major flaws. The first one was that spotting splashes and correcting fire based on them was not a technique employed in navies, or in the Royal Navy for that matter, until the start of the Great War. Furthermore the dynamics of long range firing rendered spotting splashes a moot point. Considering reload time between one salvo and the other and relative motion of both the firer and the target, the corrected salvo will already be a miss by the time it is fired. What it is needed is not a more powerful gun or uniformity of caliber, but a computer capable of calculating the relative position of the target in the future based on its speed, bearing, and heading. Until such a machine was available (and some forms were indeed developed after the HMS Dreadnought was commissioned) long-range fire was more a dream than a possibility. Combat experience in the few naval engagements before 1914 confirmed this approach. Large-caliber hits in the war against Spain or the Russo-Japanese War were extremely rare, and all occurred at relatively short ranges. The same conclusion had been reached by the Royal Navy based on tests and training. The leading gunnery experts of the time like Admiral Percy Scott (RN) or Admiral Bradley Fiske (USN) all considered long-range fire impossible until more advanced fire control systems (read manual or mechanical computers) were developed. The same conclusion seems to have been shared by Admiral Fisher too. There is no mention of long-range firing in his papers concerning Dreadnought or his other pet project, the battlecruisers of the Inflexible class. It seems that long-range fire was a product of historical insights and later developments. Also there is no mention in the technical literature of the time of problems linked to the use of different calibers of main batteries. Fairbanks further explores the matter and investigates not only Dreadnought but also HMS Inflexible and reaches interesting conclusions about Fisher’s objectives and intentions, but here we are talking of the Imperial Japanese Navy, not the Royal Navy. What I really want to highlight here is that at the closing of the first decade of the Twentieth Century the commissioning of HMS Dreadnought was not seen in the same light in which it is seen today, and she exercised less influence in naval designs than is usually thought. But now is time to move from foggy London to the land of the Rising Sun.